Two town hall meetings SPACES FOR CHANGE | S4C convened in Abia and Imo States brought together parents, pupils, head-teachers, class teachers, food vendors, community leaders, state coordinators and other grass-root managers involved in the implementation of the Home Grown School-Feeding Programme (HGSFP) in the two states. The town halls held on February 9th and 16th, 2019, respectively, had two primary objectives. First, they aimed at deepening community understanding and participation in the HGSFP in their states. Secondly, the meetings afforded a no-holds-barred platform for community stakeholders to discuss the findings of S4C’s extensive assessment of HGSFP’s programme performance in both states, with a view to identifying where best practice needs to be consolidated and also, where gaps in implementation needs to be bridged. The Abia town hall took place in Ikwuano local government area (LGA) of Abia State while that of Imo was held in Njaba LGA, with over a hundred persons attending both events. The town halls kicked off with the presentation of S4C’s research findings from the field, highlighting the strengths, gaps and challenges the HGSFP initiative is facing across the two states. The assessment involved extensive review of secondary data sourced from internal and external sources. To fill the gap in the reporting and analysis of publicly-available data, the organization carried out a combination of targeted surveys, key informant interviews and focus group discussions during which 8, 315 pupils, 669 parents, 88 public primary schools in urban and rural areas, 55 head and assistant-head teachers and 43 female food vendors were engaged directly, totaling 9,082 persons across the two states. In terms of what is working well, survey findings disclosed a spike in school enrolment. School authorities—head-teachers and classroom teachers—confirmed that overall student population figures have surged in their schools since the feeding initiative started. In one Abia school, student population increased from 305 to 406, and jumped from 300 to 402 pupils in another. Incidents of pupils moving from private schools to government-owned primary schools were recorded, especially in Abia State. The research established that school feeding motivated the children to come to school, much earlier than before. Pupils were also happy to stay in school, and to play, thanks to the major uptake in their physical wellbeing and strength. Ultimately, the programme has been successful in checking truancy in the schools. However, 92.3% of pupils in the two states indicate they would continue to attend school if the HGSFP is discontinued. schools, which has negative effects on child welfare and development. The above findings provoked robust debates about aspects of the programme that need adjustment and new priorities that need to be set. One issue that dominated the discussions relates to hygiene standards and the associated complaints of diarrhea rampant in the schools where the programme is active. The vendors shared that some of the diarrhea cases result from unhygienic practices among pupils and not due to the way the potatoes are prepared. As part of the recommendations, parents were charged to improve their children’s hygiene by regularly providing them with clean plates and drinking water. Another issue dwelt on parental dereliction of duties. Survey findings showed that some parents stopped giving their children breakfast and lunch as a result of the feeding programme. Again parents were urged to adequately feed their children regardless of the government’s feeding programme. This was necessary to check the frequency of fainting in class recorded in some of the schools. Children also needed to be well fed at home considering that the feeding programme is irregular in some of the schools. 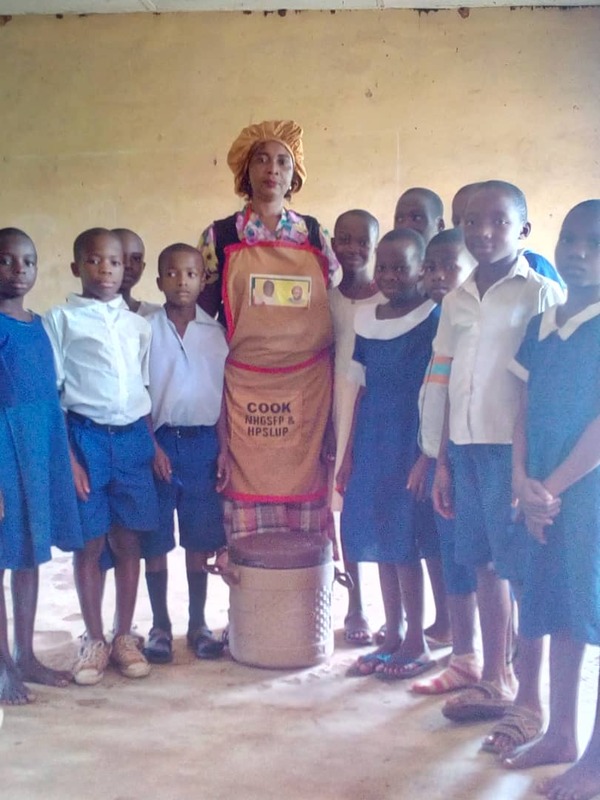 On the other hand, head teachers were urged to institute effective monitoring mechanisms in their schools to ensure efficient supervision of the meal preparation, meal distribution and meal servings. This is bolstered by the direct participation of head teachers, local governments and key line ministries such as ministries of education, agriculture and health. Project implementers can schedule surprise visits to schools to monitor progress, receive feedback from school authorities and correct anomalies noticed. The next session focused on the importance of community participation and inclusion in the implementation of the programme to enhance efficiency. Imo and Abia States need to develop a robust communication and community engagement strategy in order to strengthen program acceptance from locals, douse public distrust and enlist community participation in program delivery. Information about HGSF activities should be properly communicated to parents, community leaders, and small-scale farmers in every locality the project is being implemented. States can clear doubts and dispel public distrust through awareness creation and periodically publishing reports of public spending on school feeding. Not only that, communication and grievance procedures should be in place in every school for eliciting feedback that can be used to assess progress and improve results. Another issue that stakeholders wanted the government to look into is the yardstick for recruiting and posting food vendors to schools. Parents argued that some vendors were not trained or tested before recruitment as some still lacked basic cooking skills. Teachers on the other hand complained that some schools with few students had many vendors, while some schools with many students had very few vendors. This informed the recommendation to states to define a clear eligibility criteria, including coherent selection and recruitment procedures for vendors. They should conduct periodic training for vendors to continuously upgrade their skills and learn best and safe practices. States also need to develop reward and disciplinary systems for deserving and erring program vendors. Bureaucratic bottlenecks that cause payment delays must be removed to prevent irregularities in the delivery of meals. For the vendors, their primary concern is to see the meal budget of N70 per meal per child is reviewed. 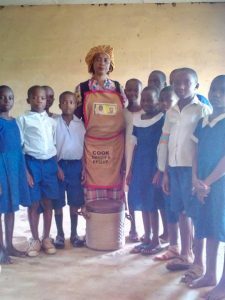 The review is necessary to attain healthy nutrition for pupils, and enrich meal quality. Children desire to see additional foods on the menu such as fruits, more vegetables and protein to increase nutritional value of meals. Meal budget review can help to make these wishes come true for school children. The vendors were also encouraged to set up food banks where they could store food items in large quantities. Buying and storing food items in large quantities would be an effective way to maximize resources. School pupils were not left out in the conversation. They expressed excitement about the feeding programme, but want potatoes removed from the menu and replaced with spaghetti. At that point, the pupils learned that spaghetti is not a home-grown food and therefore cannot be included in the menu. Nonetheless, their concerns about potatoes causing diarrhea among pupils would be appropriately addressed. The sessions ended with delighted participants expressing joy about the efforts to include them in the program delivery and decision-making processes. Not only did the town halls deepen stakeholders’ understanding of the HGSFP programme, SPACES FOR CHANGE also promised to channel the feedback received from diverse stakeholders to the appropriate authorities to support the continuous performance of the programme in both states.